CULLMAN COUNTY – This year’s area tournaments are now in the books. 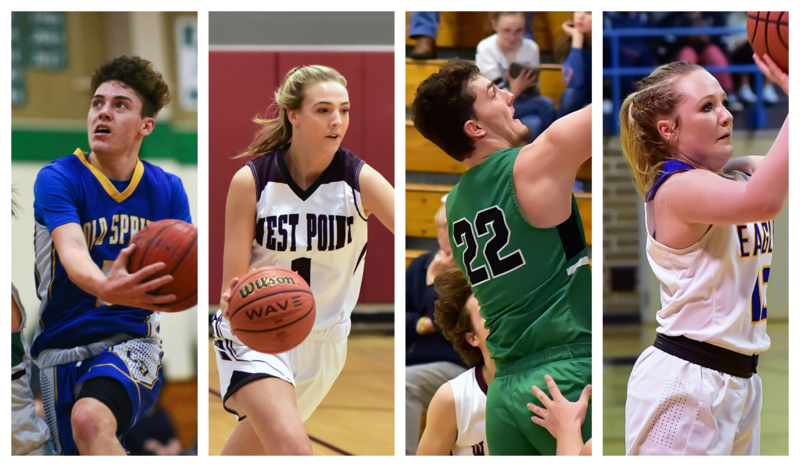 Five teams, Cold Springs’ boys and girls, Holly Pond's boys and girls, and West Point's girls won their respective area championships and are hosting their sub-regional games while the others will have to travel. It's now win-or-go-home for all of our local teams looking to advance to regionals at Wallace State and Jacksonville State University. The Cold Springs Lady Eagles rolled past Southeastern and Cleveland last week to take home the Class 2A, Area 12 championship and will host the Area 10 runner-up, Vincent. They've gotten big-time performances from Camryn Crider, Toni West and Elizabeth Hill and their defense has been really intense. Coach Tammy West will look to add another regionals appearance to her already Hall-of-Fame resume. They will be looking to advance to a regionals matchup on Friday, but they can't overlook Vincent tonight. The Holly Pond Lady Broncos cruised past Vinemont and came back late to defeat New Hope to win the Class 3A, Area 13 championship and they will take on the Area 10 runner-up, Carbon Hill, Monday night. Holly Pond has gotten balanced scoring from its whole roster under head coach Andrew Kelley. After getting four and five wins the past two seasons, the Lady Broncos have turned the corner and will look to advance to regionals for the first time since the 2013-2014 season, but they will have to get past Carbon Hill tonight in order to do that. The Fairview Lady Aggies cruised past Good Hope to advance to the Class 4A, Area 12 championship game against Oneonta and it was a tough, intense battle between both teams, but in the end, Fairview fell to the Lady Redskins, 40-37. Fairview will travel to take on the Area 14 winner, North Jackson, in what will be a very tough game for the Lady Aggies. After losing a lot of seniors last season, Fairview, under new head coach Justin Billings, has used balanced scoring of its own and a smothering defense to get to not only 17 wins, but also to sub-regionals. The Lady Aggies will look to make it back to regionals for the fourth time in the past five seasons when they travel to North Jackson tonight. After falling just short of capturing the area championship the past two seasons, the West Point Lady Warriors reached the top of the mountain after rolling past Russellville and Hamilton to take home the Class 5A, Area 14 title. West Point will host East Limestone, the Area 16 runner-up, in what will be an extremely tough test for the Lady Warriors. They've gotten great scoring from Lexi Shadix, Miriam and Micah Oldacre, and Mackenzie Carter to name a few. To move on to regionals, West Point will have to play top-notch basketball for four quarters and cut down on mistakes. The Cullman Lady Bearcats took down Decatur in the area tournament last week and took on a very tough Hartselle team in the Class 6A, Class 14 championship game. Despite their best efforts, the Lady Bearcats fell just short, 71-58, which means that they will have to travel for their sub-regional game to take on the Area 15 champion, Muscle Shoals. Led by some balanced scoring and a fast defense, Cullman has had a huge season under head coach Josh Hembree and new assistants Mary Lauren Hartline and Nina Mills. The Lady Bearcats' last meeting against Muscle Shoals came in the sub-regional game back in 2014 when they defeated the Lady Trojans, 53-52. They will look to do that again in 2019 as they go for their first regionals appearance in five years. Cold Springs clinched a home game in its sub-regional match-up after taking down West End and Southeastern to win the Class 2A, Area 12 championship and will take on a very tough Sumiton Christian squad Tuesday night. The Eagles rebounded this season by more than doubling their win total from last season. Landyn Freeman, a transfer from Good Hope, has been one of the players to help lead the way, along with solid play from the rest of the team. The Eagles will look to cut down on the turnovers and get balanced scoring from everyone to advance to regionals for the first time since 2015. The Hanceville Bulldogs looked to win their third straight area championship after defeating Susan Moore on Thursday but lost in nail-biter to J.B. Pennington in the Class 3A, Area 12 championship game on Saturday. The Bulldogs lost a very intense, physical game to the Tigers, 61-58, which means that they will travel for their sub-regional game against the Area 10 champion, Midfield. In their first season under new head coach Stephen Chandler, Hanceville got off to a very strong start and kept that going throughout the rest of the regular season. The Bulldogs lost some big seniors last season, but led by R.J. Evans, Romain Pochon, Fred Ellis and Zeke McDonald, to name a few, their offense has the tendency to be really explosive, and in order to advance to regionals, they need to get off to a quick start on both ends of the floor when they take on the Patriots Tuesday night. Holly Pond added yet another Class 3A, Area 13 championship to its trophy case after rolling past Vinemont and New Hope. The Broncos will host their sub-regional game as they will take on Lamar County. They've lost a ton of seniors over the last two seasons and they got off to a slow start, but they quickly got things going in December, winning seven in a row to begin the month. The Broncos are led by Kyler Chaney, Isaac Ludwig, Cooper Jones and Devyn Tankersley, to name a few. Lamar County can provide a little bit of a challenge despite their record, and Holly Pond will need to come out strong and keep it going for four quarters if it wants to move on to regionals once again. Good Hope came so close to winning the area championship last season, and this year, the Raiders looked to add another trophy to their trophy case after defeating Fairview. The Raiders took on Oneonta in the Class 4A, Area 12 championship game last Friday and fell just short at the end despite a late comeback, falling 63-60. They will have to travel to Grant to take on the Area 10 champion, D.A.R. Good Hope has had a historic season this year under head coach Drew Adams. A very balanced scoring attack, led by Cole Maddox, Noah Fendley and Drew Maddox, to name a few, along with a ferocious defensive scheme, have been the key for Good Hope as it enters the game ranked No. 6 in Class 4A. The Raiders will look to move on to regionals and make some more history when they play the Patriots Tuesday night.